We're on the right path, but we've got a long way to go on education about Catalonia in the international arena. Today we have a new example. Matthew Parris has written an article for The Times, "Catalonia is a bigger timebomb than Cyprus" You think Cyprus is a disaster? Well, Catalonia is worse still!! Before saying that this correspondent is an enemy of Catalonia, that doesn't know us, that he's exaggerating... it's important to point out that he has close ties with Catalonia and that I share his principal thesis that Catalonia is a threat to international economic stability. In fact, a few months ago, I explained that Catalonia is the principal enemy of the euro since our independence would bring more instability to an already weakened state like Spain and that at the same time Catalan independence would lessen Spain's capacity to pay off its debts. But I said that not in order to stop the process but rather to warn that it was an inevitable topic to contend with and that we had to work to change the perception of this potentiality and I offered proposals for doing so. We would do well to carefully analyze Parris' article--which will be duly magnified by both proponents (paradoxically) and opponents (obviously) of independence-- so as to figure out what we need to address. Let's go step-by-step. The article criticizes the expansion of the Barcelona airport and says that when he was there it was totally empty. Beyond my own curiosity about what day and time he caught his flight, it should be noted that Barcelona's airport served more than 35 million passengers in 2012, growing 2.2% with respect to the previous year, despite the financial crisis, and that it will inaugurate more new routes in 2013 than any other airport in the world. Pending lesson: The truth is our infrastructure is insufficient, and Catalonia's economic potential would be much greater if these needs were sufficiently met. He claims that the danger is a "disorderly secession", that is, independence that is not negotiated with Spain. I totally agree! International concern should therefore be directed to avoiding such a calamity, not avoiding secession, but rather ensuring that if it occurs, it does so in an orderly fashion (that is, negotiated). Parris speaks of polls and refers to proponents of independence being around 50% in a referendum: we need to explain that this refers to the total number of registered voters, and that according to these same polls, there would be between 67% and 73% favorable votes in a referendum. That is, it makes sense that at the very least that we Catalans vote, since we have much higher support for independence than in places like Scotland and Quebec. Parris refers to the impact of independence on the potential secession of other countries, like France and Belgium. And he's right, and thus this is the time to have less "solidarity" with other stateless nations, because it is important that the states be what their citizens vote but even more important is that first, we do it ourselves. He proposes a referendum with three options (one of which is 'devo-max', that is, much more self-rule, an option that lies somewhere between independence and the status quo). We have to explain that that option is impossible within Spain, since such an offer by the Spanish State is neither possible nor credible, and including such a question on a referendum would be promising something that is out of the hands of the Catalan Government. The title of the article is attention-getting but true: we are a threat to European economic stability, but it's not because 'we want to be' but rather because "Spain will keep us from being it". And it's here where we have to respond, and continue with our pedagogy explaining Catalonia's economic potential, the popular will to vote on a referendum, and the impossibility of a bargain that Spain would never keep. And never renounce independence: if all the rest of the countries in the world look first to their own interests, why shouldn't we Catalans do the same, especially when what we want is an impeccably democratic process with the utmost respect for our potential international partners? And so I return to the beginning of the article: we're on the right path, but there are still many lessons to impart in the international sphere. And I truly believe we--including the Catalan Government--are doing a good job. Let's keep at it. Sincerely, considering Catalan debt situation I don't think you're able to impart any lesson in the international sphere. A first step in the right direction would be to find buyers for Catalan public debt in the international markets. Catalan debt is about 25% GDP (50B€ on 200B€ GDP), which can hardly be compared with Spanish debt (83%+ of GDP). Without the drastic plunder to which Catalonia is subjected (16B€ per year, which goes to Spain never to return), as well as the gross underbudgeting of Catalan infrastructures, it would be a different situation indeed. 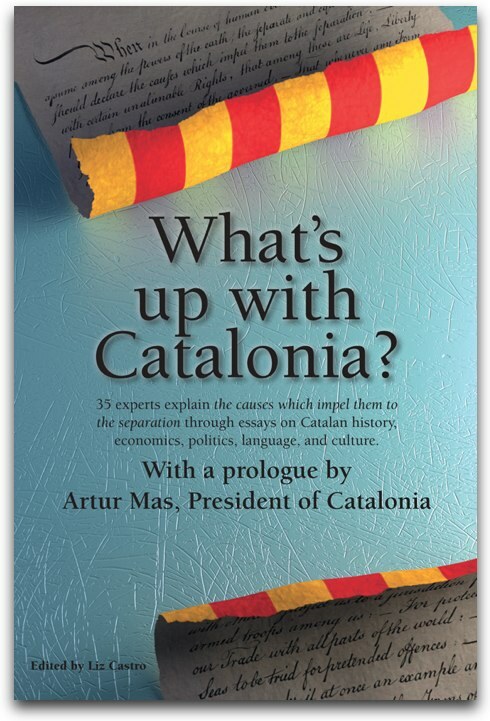 You can find more documented details in "What's up with Catalonia? ", my new book. First of all I wanna say, data about debts and all this stuff is generally unclear and malicious because media built it for their own purposes. So both are in a similar quagmire 170% and 140%. Both administrations are dancing in the edge of their possibilities and you can see it in their faces. They debt more than they earn in a year, by far, and regardless they are the ones who runs those administrations to this point by abusing with their own wages, dailies allowances, grants and adjudications to their friends/comrades/familiars, they only bother to afford this situation by cutting down benefits to the citizens. I don't think catalan government is doing well, just see the opinion polls about CiU, even former government committed its own excesses, and also I am really skeptical with catalan independence. The way are running things it will be a great disaster if Independence will not be archive and in any way things will not run easily. Independence is a great chance even for the Spain to rebuild the foundations of the state and find a way out to this endless crisis (2008.. ???? ) but with the politicians running it's hard to believe they will give up with their privileges. Right to decide? Sounds pretty good, but if it's only for the independence issue, politicians will take the control over the new state and turn it into another Spain, Greece, Cyprus... I'm not catalan, even not basque but I can sympathize with yours cause. I think it will be a pity if you find the Independence only for this. In my opinion, this is an excellent portrait of the catalan situation.